We are pleased to announce our next exhibition, the theme of which is "A Message from Our Ancestors." In Heian period Japan, rituals were held and preparations made as it was believed that the world was entering the "Latter Day of the Law," or mappō, when Buddhist teachings would cease to spread, and the world would fall into a degenerate age. 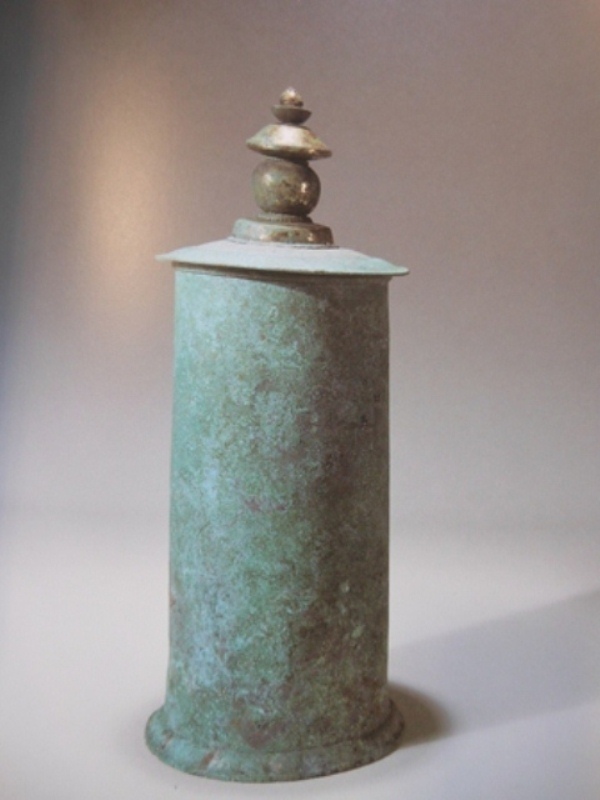 In order to preserve Buddhist teachings and pass them on to future generations, scriptures were copied, placed in containers such as this, and buried in groups with other objects of Buddhist ritual in what are called sutra mounds. Though it seems hard to believe, we are already at our last exhibition of the year. We hope that you will take the time to come by and see the exhibition. ※Please note, objects on display will be rotated midway. We apologize for the inconvenience, but the gallery in Shirokane will be closed from Tuesday November 6th to Saturday the 10th. London Gallery in Roppongi, however, will be open according to it's regular schedule, so please feel free to visit us there.